Unions are in decline. Past efforts to organize more workers did not reverse the trend. Have we reached the bottom of the trough? Is there enough pain to force enough labor leaders to think and act differently? AFL-CIO President Richard Trumka is proposing new kinds of relationships with environmentalists, civil rights groups and others; but the devil is in the details, and we simply do not know how these initiatives will pan out. Meanwhie the alt-labor sector is generating a lot of attention. Is the future of labor to be found in worker centers, community-labor alliances, fast-food workers, domestic workers and others traditionally outside the union movement? Will minority unionism or direct action unionism stage a comeback? We just don’t know, but increasingly, such efforts are being prioritized by various unions – especially SEIU (fast food) and UFCW (OUR Walmart). This is what most of the ink spilled will be about. My own interests are a little less macro and meta, though it’s unclear if I can learn much about them at this convention. The last big push for organizing (in the 90′s) has a spotty record. Even when large unions took the plunge and spent big in an effort to organize the unorganized, it just didn’t add up. The cost per new member was too high. At a time when organizing is prioritized (again), we should be asking: how and why will this be different? Do unions have new, proven and cost-effective organizing strategies and tactics waiting to be rolled out? Or are we in the verge of another experiment that might fail? The average age of a union member continues to go up. The chances of a young worker belonging to a union are in decline. What does the ‘young worker movement’ mean for the vast majority of young workers unlikely to ever see the inside of a union hall? Organizing has changed dramatically as a result of new communications technologies. But the tools of online organizing are only rarely well integrated with the tools of offline organizing. To a large extent, the changes that the new Digital Department seeks to implement across the labor movement are in their infancy. What is the state of this transition? The vast majority of workers in America don’t belong to a union. To the extent that supporting the labor movement is an attractive political or social opportunity, unions have not been very good at creating them for non-union members. 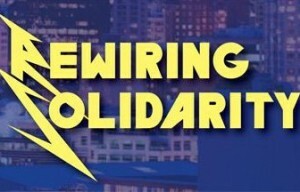 Working America is the largest ‘labor solidarity’ organization meant to address this need. But actually, there are many labor solidarity efforts built by and for individuals who want to play a role in the labor movement that does not correspond to their day job. What is the future of this sector? How is it perceived by labor leaders? Can we expect increased attention paid to groups like Jobs with Justice, 99 Pickets, Brandworkers and Occupy related efforts? If you have questions – or answers – please add them below or tweet me @organize20. Before the new year I was lucky enough to attend LaborTech, a conference organized by Steve Zeltzer, a long time labor activist in the Bay Area (and other great folks!) It’s an important conference for many reasons; my favorite is that it asks everyone to imagine themselves as being in the driver’s seat. What are the big questions for labor when it comes to technology and media? How can you contribute? This is my answer to that question.